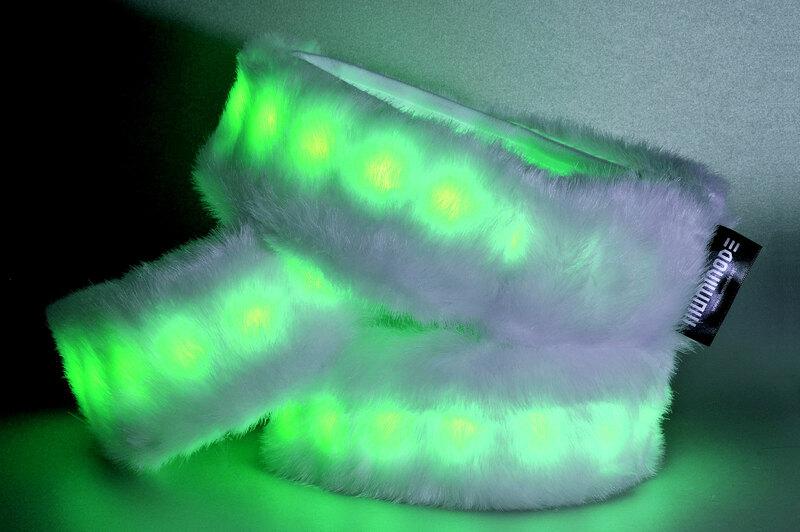 Sitting firmly at the intersection of fashion and technology, Illuminode is an interactive, wearable LED technology which can be integrated into just about any material. Perfect for concerts, product launches, and other social functions, each device communicates with other devices nearby by animating and illuminating in sync. MSLK worked with Illuminode’s three founding designers to create a visual brand voice that clearly conveys their product’s unique features. 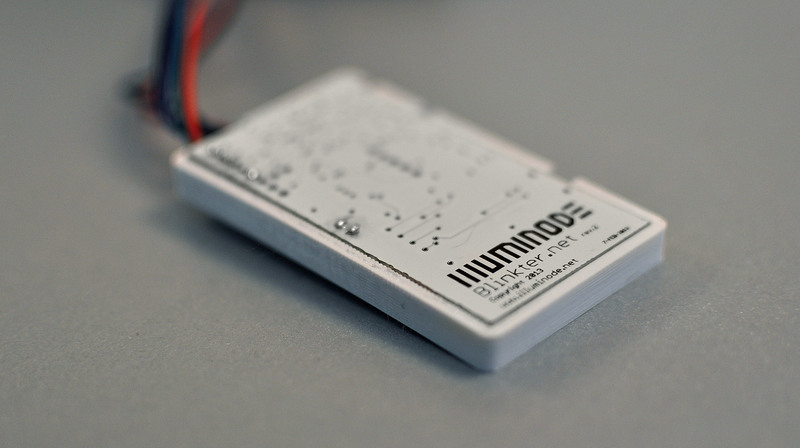 Illuminode is a global company manufacturing highly innovative, wearable LEDs whose color and rhythm are triggered by social interactions. This astounding, futuristic product required an equally innovative identity. 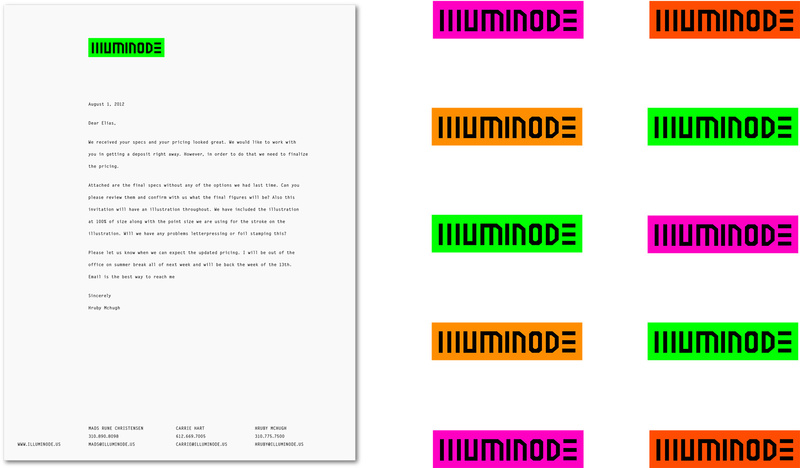 "An initial meeting with the Illuminode team allowed MSLK to stage a collaborative creative brief exercise. The result of this exercise produced a key insight: Illuminode exists at the intersection of light, technology, social interaction, and fashion -- all working together to create magic. This creative brief helped MSLK define the Illuminode brand, giving concrete concepts that designs can be measured against. 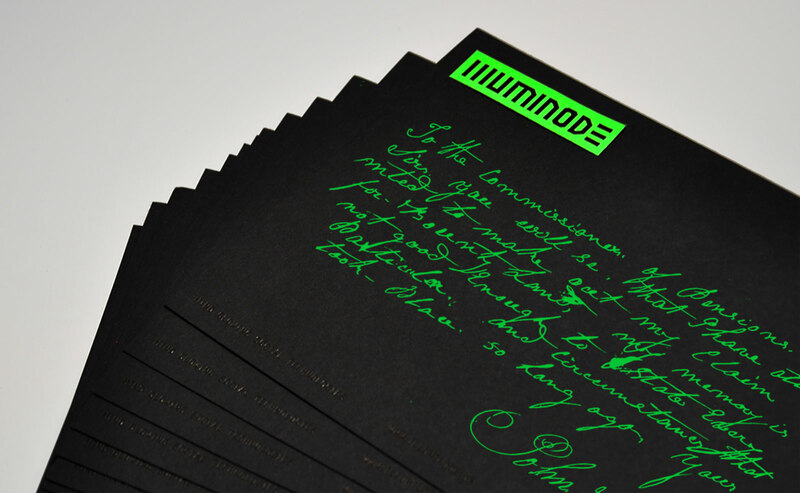 At the core of Illuminode's new identity is a color palette of black paired with fluorescent colors, referencing glowing LEDs at night. 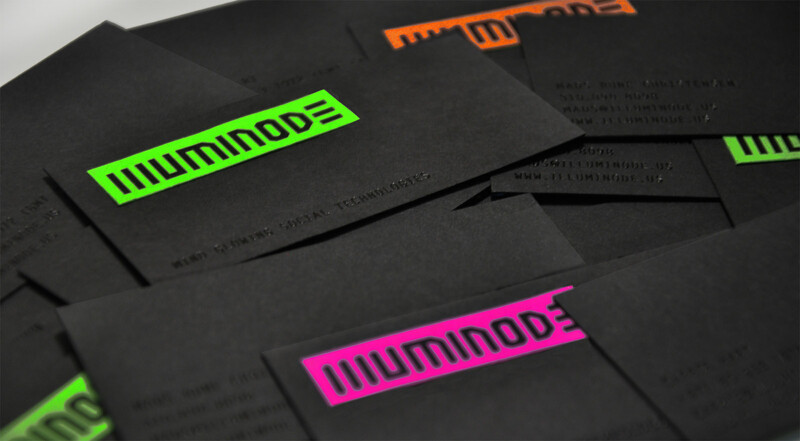 A bold, tech-inspired logo was developed and printed on fluorescent stickers, giving Illuminode the flexibility to leave their custom mark on anything they choose. 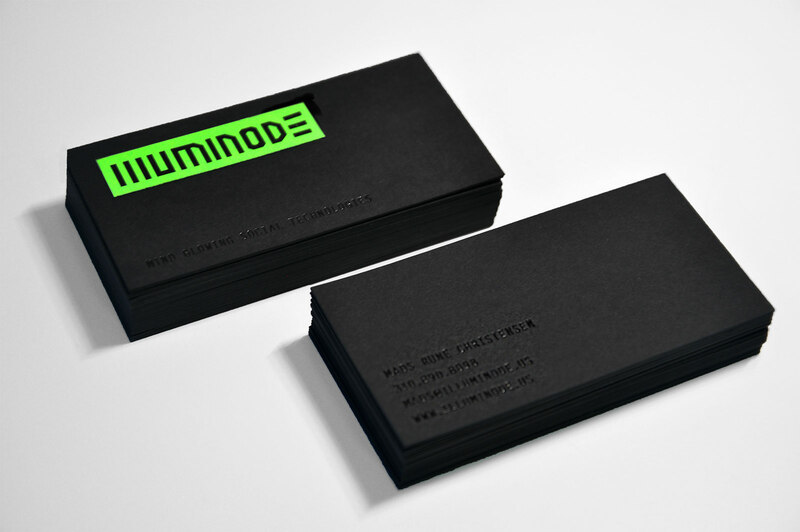 On the business cards, stickers are applied to black paper foil-stamped with their information. The logo acts as a beacon in the darkness, contrasting with the type, which changes in appearance as light hits the card in different ways.